Expats In Holland: Long live the Queen Bea! Long live the Queen Bea! 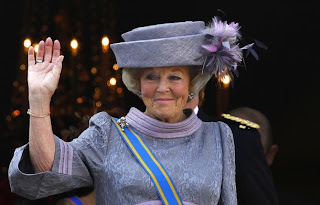 Beatrix that is, the Queen of The Royal Kingdom of the Netherlands. 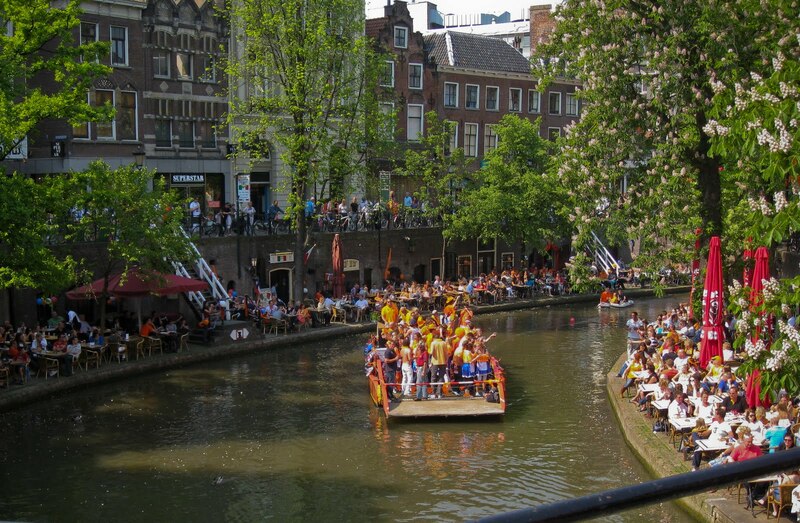 As you may remember from previous years, on April 30 the Dutch celebrate Queen's Day. 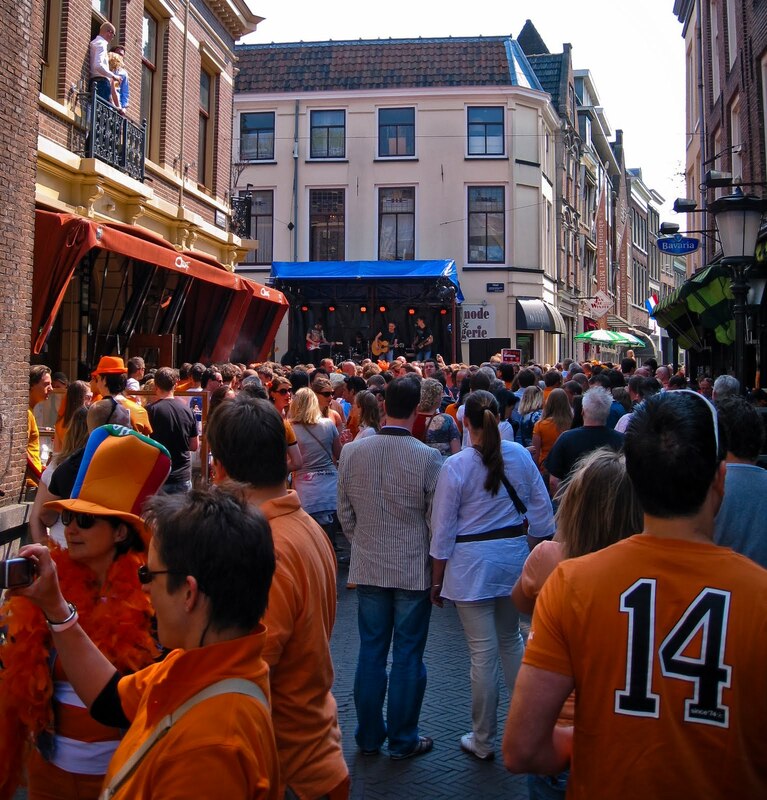 Across the Netherlands, people dress in orange and party in the streets. It is also a big day for yard sales, so everyone drags their crap into the streets and tries to sell it to other people who collect crap (strange, I know, but this is what they do). We are more interested in the 'orange' & 'party' aspects of Queen's day, rather than the yard sales, so we head to the big cities to take part in the festivities. 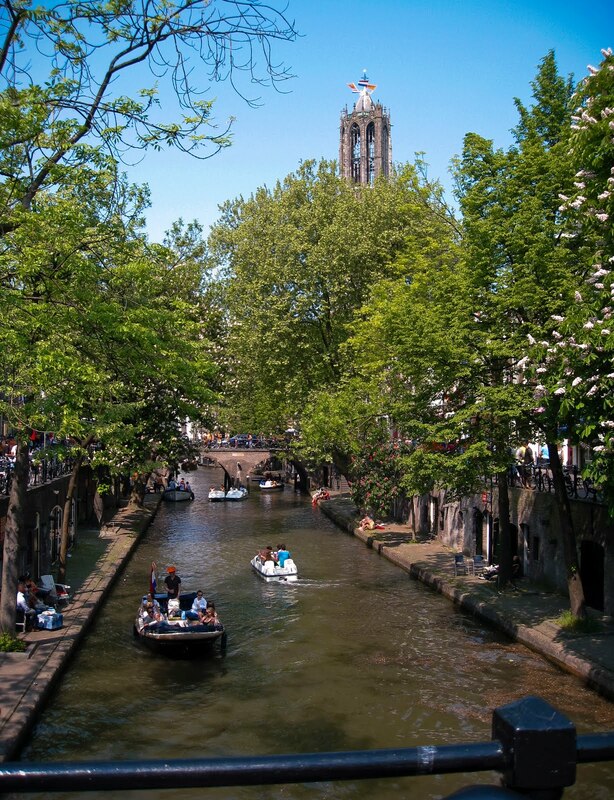 After the hectic trip to Amsterdam last, we decided to try out Utrecht this year. 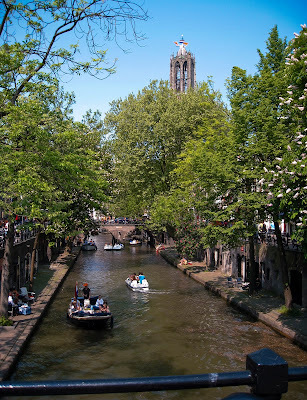 Utrecht is a great Dutch city, with a unique main canal that has a lower level. This level used to be used as docks for shipping, but is now lined with terraces for restaurants, pubs, and clubs. 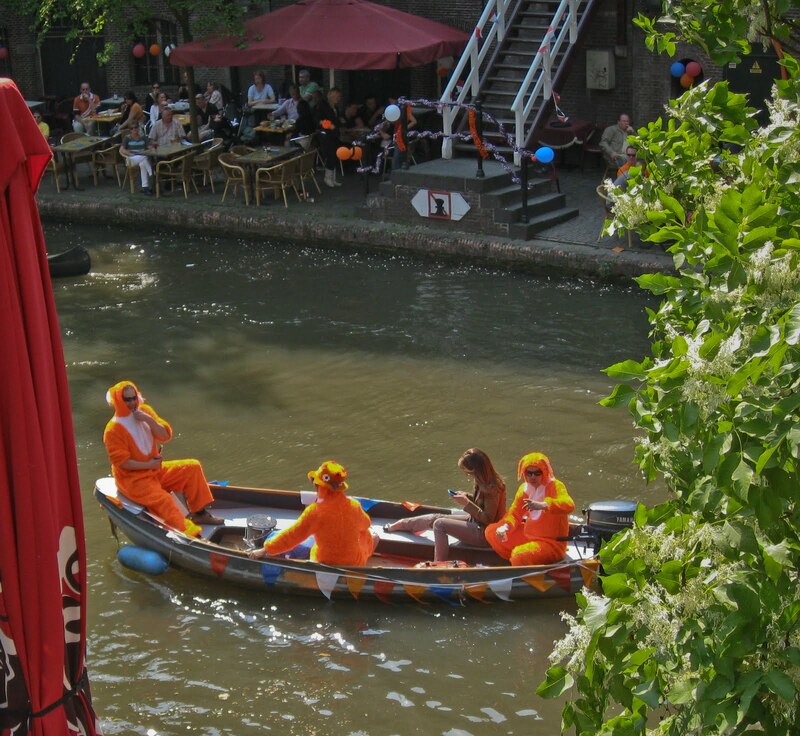 This is one of the many party boats that cruise the canals all day. The streets are packed with orange. There are several plazas and areas throughout the city that have live music playing, and of course there are plentiful beer and food vendors. One of my favorite parts of Queen's Day is people watching. There are some great outfits, hats, and costumes, all in orange of course. Such as these pretty ladies, who look like they are on the prowl for an Orange mate. It was a fun day, and the weather was beautiful and sunny, which is reason enough to celebrate in Holland.